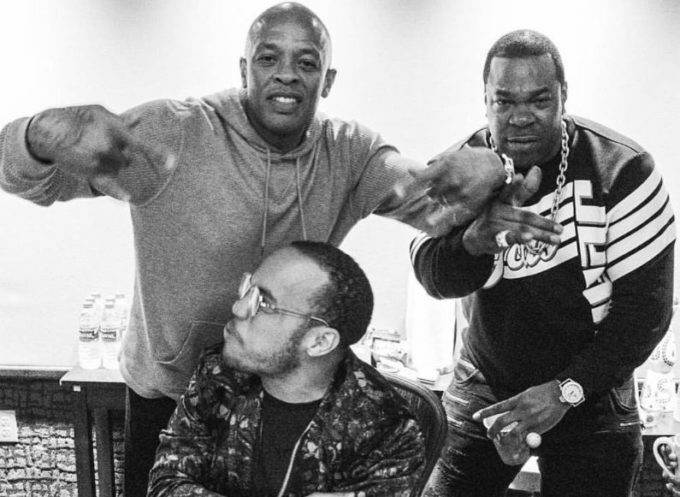 Anderson .Paak has been working on his new album for a few months which is coming out via Dr. Dre’s Aftermath Entertainment and Doug Morris’ new 12 Tone label. In May, Dre let is slip during an Instagram live session that .Paak’s album is called Oxnard Ventura. Before Anderson .Paak launches his next single, he is offering a remix to his first, ‘Bubblin’ which is easlily one of the best songs released this year. The talented rapper-producer-singer has recruited Busta Rhymes on the remix and as expected, the veteran New York rapper brings his fast paced flow to the table. Stream/preview it below. Yesterday, Tyheim “Ty” Cannon, head of A&R at Dr. Dre’s Aftermath records, revealed on Instagram that Dr. Dre was currently mixing Anderson .Paak’s album.